Robinair 15150 VacuMaster Series Vacuum Pump features: Free Air Displacement: 1.5 CFM; Two Stage Design; second stage starts pumping at a lower pressure to pull a deeper ultimate vacuum; Lower maintenance; VacuMaster pumps use less oil, 7.4 oz. 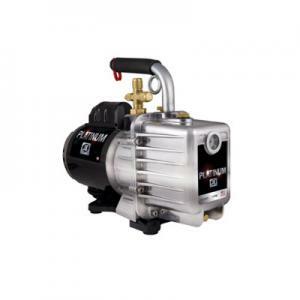 ; that will reflect in your maintenance costs during the life of the pump, etc. 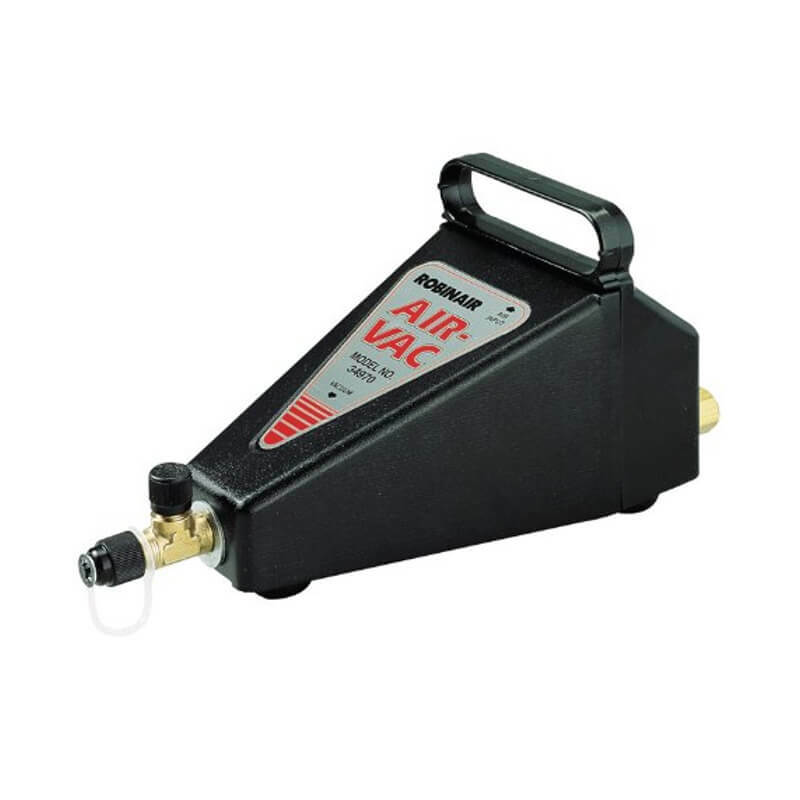 HVAC High Performance Vacuum Pump - Engineered specifically for air conditioning and refrigeration service, and built with Robinair's proven offset rotary vane for fast, thorough evacuation. 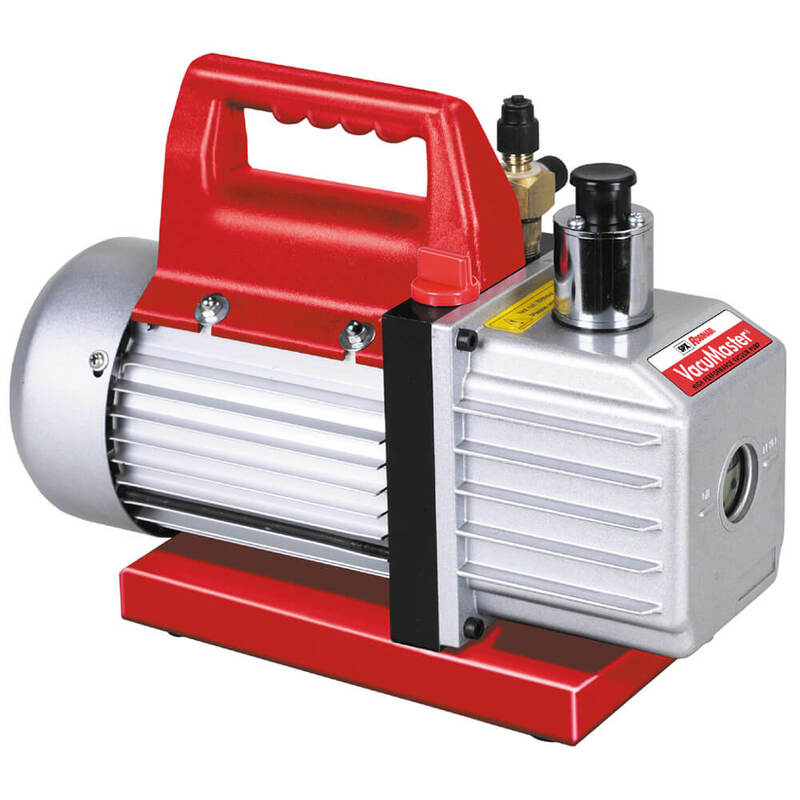 High Vacuum Rating - The two-stage, offset rotary vane design provides powerful, quiet high vacuum capability and assures moisture removal, while the high pumping capacity reduces evacuation time. 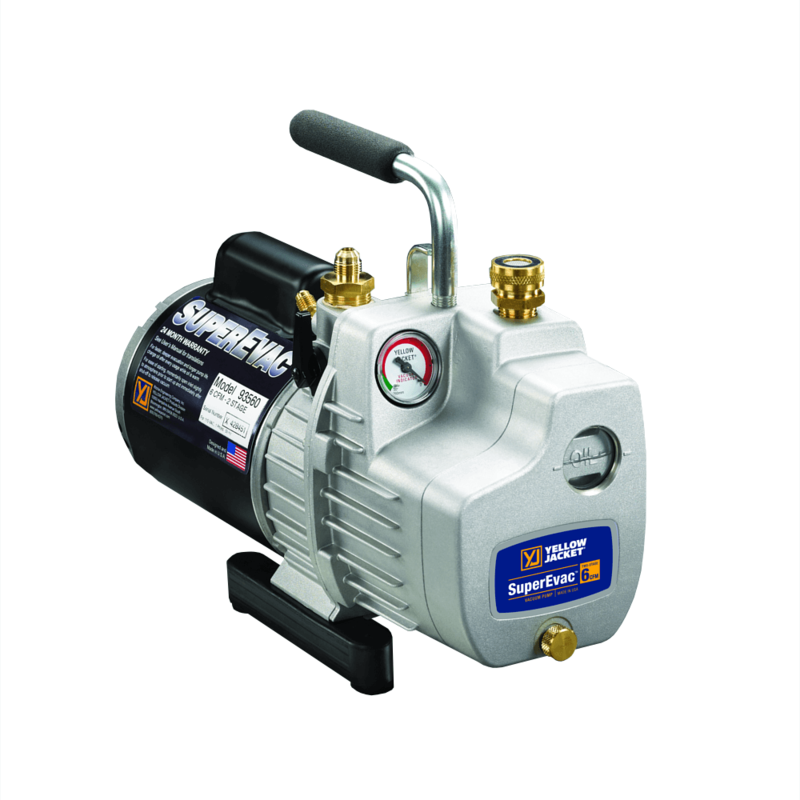 Compact Design - Pump measures just 151/2" long, while aluminum housing and offset rotary vanes keep the pump weight low, making it easy to carry. Unbeatable price - High performance and quality for an incredible value. See your nearest distributor and check this Robinair product. 8/4/14 changed Amazon and eBay price to $146.79, to sell excess inventory. These pumps are heavy, thats for sure. For smaller systems, this is more than effective at getting deep vacuum in a short time frame. Most people would consider these to be throw away pumps. You basically run them into the ground and buy a new one. It is definitely no frills but its as good as you treat it. I plan on keeping up on the maintenance to get hte max life out of it. man vacuum pumps are heavy, but it guess it is mostly just a motor. Good oil capacity to keep the running temperature low.